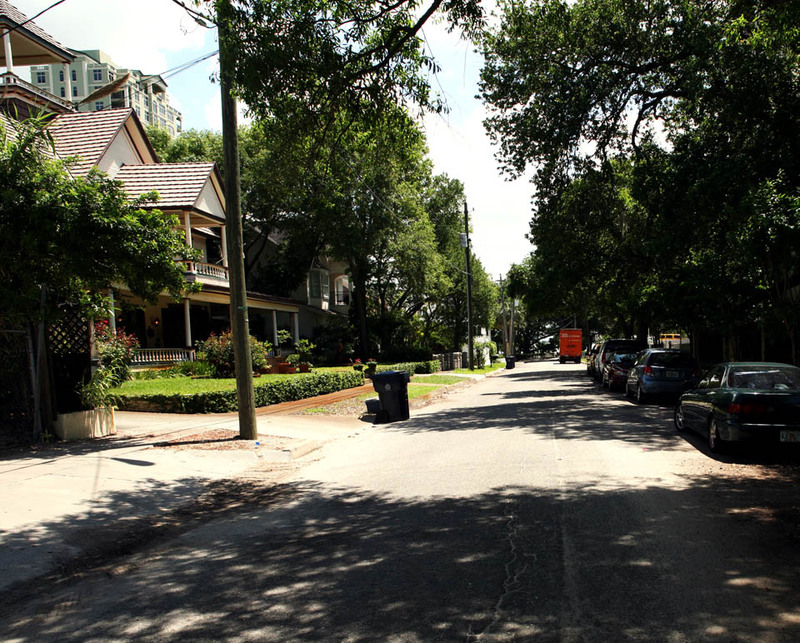 Looking East, down Stovall Place. Notice the lack of trees and the clear view down to the Bay in the historic photograph. I’d like to see an aerial map of the change, it looks like hundreds of feet of road & land were added, pushing the view out into the distance; or is this photo playing tricks on me? The neighborhood looks so urban and everyday here, where the historic shot looks so empty and alien; interesting comparison. It does appear to be further away. 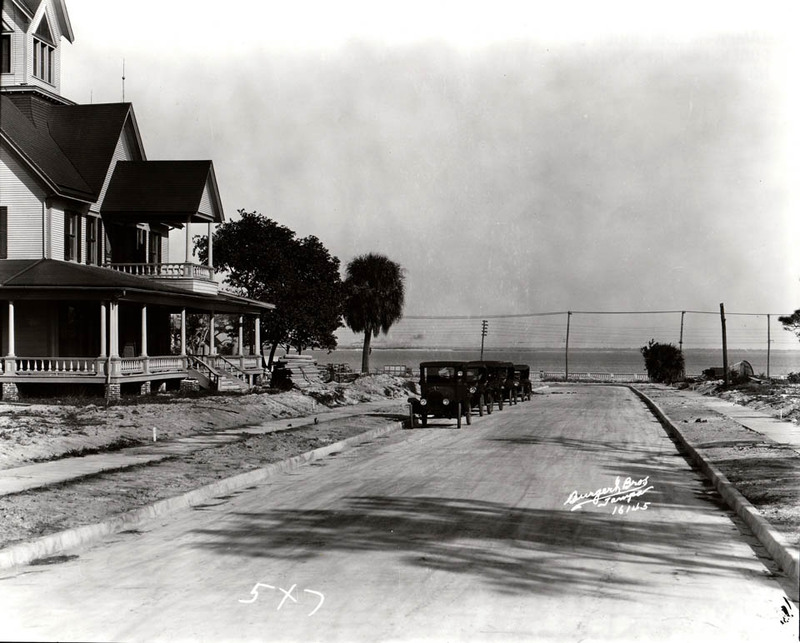 However, in the historic photo, you can see the retaining wall/sidewalk railing on Bayshore Blvd. I think the illusion may have to do with the road curving north and Bayshore being downhill. However, when Bayshore was widened, did they reclaim land from the Tampa Bay, or did they expand to the west? Love that you can see the overhead wires for the streetcar in the 1925 picture. Looking through historic aerials the house is in the same place, what a difference tree growth can make in perspective. I was noticing the other day that South of Rome the Western side of Bayshore still has granite curbs, while the Eastern side is concrete. I assume this is a sign that the Eastern side was an expansion. A friend of the home’s owner mentioned that this building was relocated from Bayshore Blvd., where the Monte Carlo Condominium currently stands.